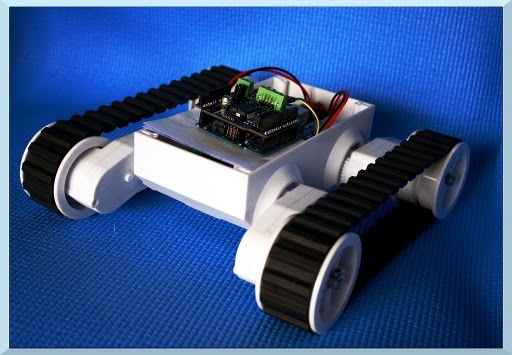 Want to wirelessly control a Mars rover from your laptop? All you need to add is 6 AA batteries, and a laptop with Bluetooth connectivity. The Mars rover platform is a robust and easily adjustable track drive chassis that is perfect for robotics hobbyists. It has two DC motor built-in, and it's already assembled. A 6-slot battery case is also included. The height of the track wheels are manually adjustable. 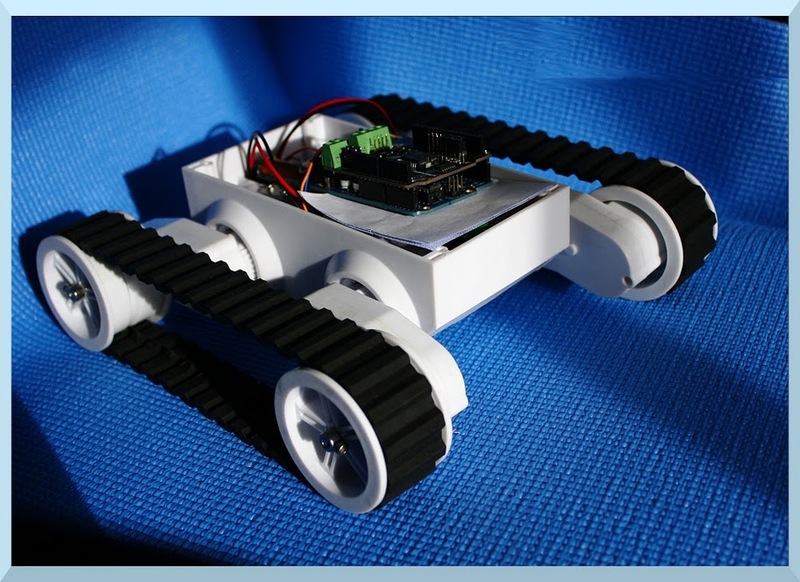 Tutorials provided at the bottom of this page show you how to assemble it, and the available open source code demonstrates how to control the rover on the keyboard. 'e', 'c', 's', 'f', 'd' keys command the robot to go forward, backward, left, right and stop. Note: the specs above should only used be as a reference, performance of individual platform may vary due to manufacturing tolerance, battery type and operating conditions.